Electronic Arts has officially canceled NBA Elite 11. The disastrously delayed basketball sim has been completely removed from the publisher's slate, with EA's chief financial officer Eric Brown announcing the game's death during an investor call. "Future development of that franchise will be handled at EA Tiburon in Orlando," EA COO John Schappert added, confirming previous reports that the Madden NFL studio would pick up where previous NBA Elite developer EA Canada left off. 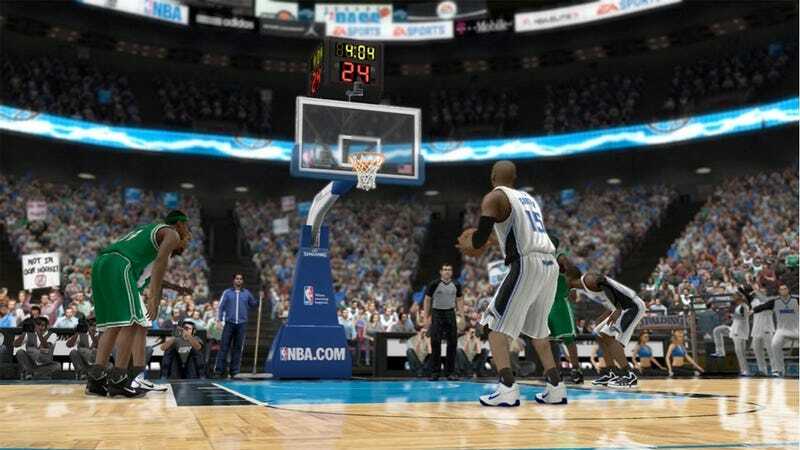 EA's basketball sim, which attempted to reinvigorate the series formerly known as NBA Live, was delayed in September. EA Sports president Peter Moore chalked up the delay to "concerns about gameplay polish," writing that the basketball sim needed more development time. Perhaps the most prominent display of NBA Elite 11's need for polish was the highly publicized "Jesus Bynum" glitch. EA Sports only basketball game for 2010 will be the arcade-style NBA Jam, released for the Wii and coming to the PlayStation 3 and Xbox 360 later this year.